Dimensions: 12.61" H, 12.98" L, 6.57" W.
B&M's MegaShifter Automatic Shifter is an all-time classic. 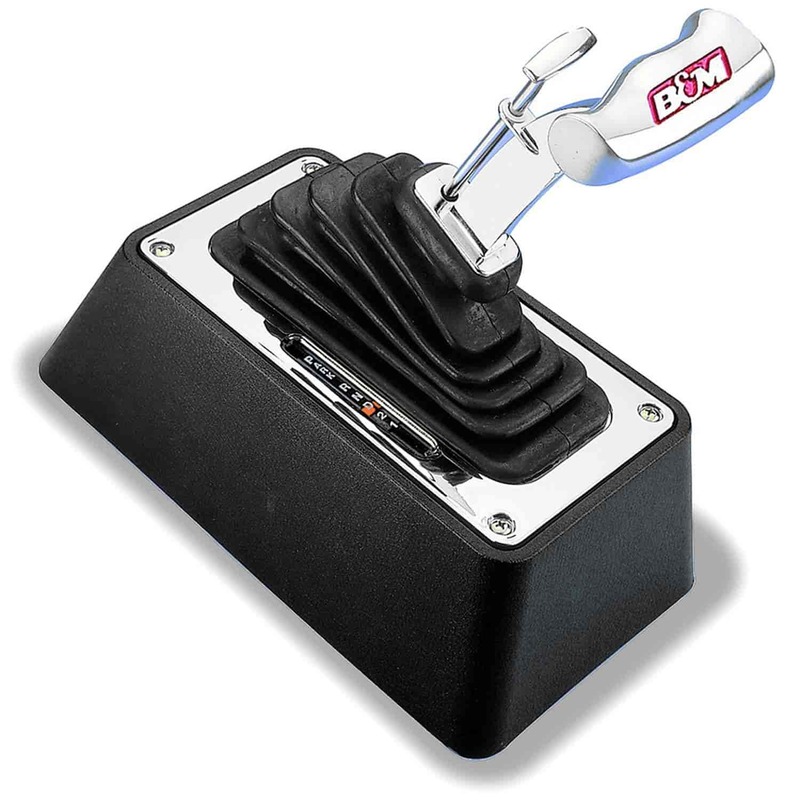 The MegaShifter is one of the most popular B&M shifters due to its high-performance smooth ratcheting shift action, positive “impossible-to-miss-a-gear” shifting and iconic race look. The MegaShifter is ideally suited for most universal 3 and 4-speed applications. High-performance smooth ratcheting shift action. Can be used with a reverse pattern valve body. Reverse lockout meets NHRA and IHRA requirements. Cable-operated for quick installation and precise shifts. Shifters includes backup light switch, neutral safety switch, illuminated gear indicator, polished T-handle, 5’ shift cable, and all necessary brackets. Does B&M 80690 fit your vehicle? 80690 is rated 5.0 out of 5 by 1. Rated 5 out of 5 by 78malibu from Straight forward installation and adjustment setup Installed in 78malibu with fresh 700r4.After line pressure tests,and a few loose ends to clean up,I'm letting the car down on the ground and trying it out.